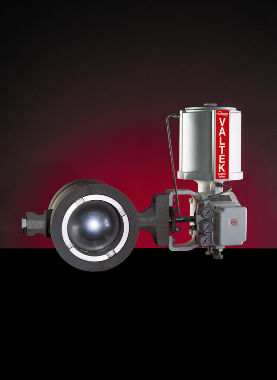 “Rugged” describes the Valtek ShearStream™ Ball Valve. Designed to overcome the problems of harsh, particle entrained processes, ShearStream™ also provides accurate, reliable control in a broad range of applications, including chemical, power and petroleum. ShearStream™ achieves Class IV shutoff with a metal seal and Class VI with a soft seal. A spring-loaded heavy duty seat is available for high pressure applications in metal and soft seat configurations. In addition to the standard wafer body design, ShearStream™ is available with separable or integral flanges. ShearStream™ is also available in sizes 1″ through 12″ and 16″, ANSI Classes 150, 300 and 600, and in stainless steel, carbon steel and other alloys.